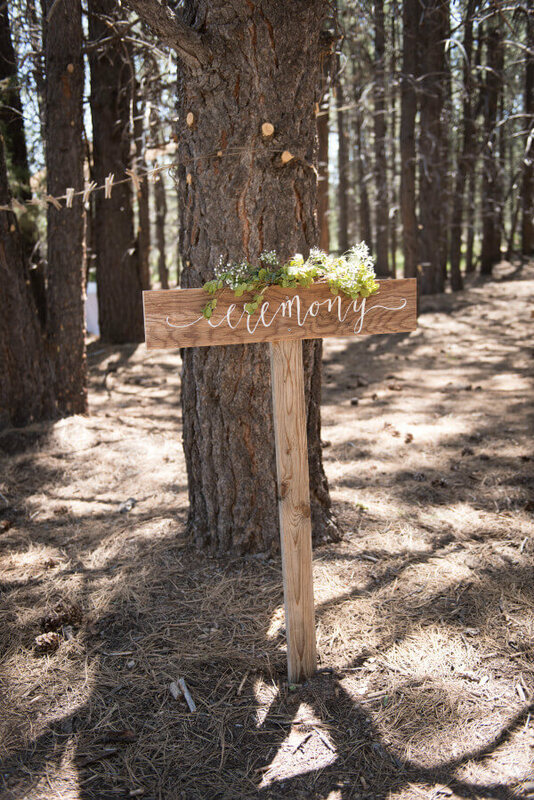 I have been featuring a few pictures lately from my sisters woodland themed outdoor wedding on Instagram. Today, I am excited to finally be revealing what a beautiful event it turned out to be. But first, let me back up a bit. 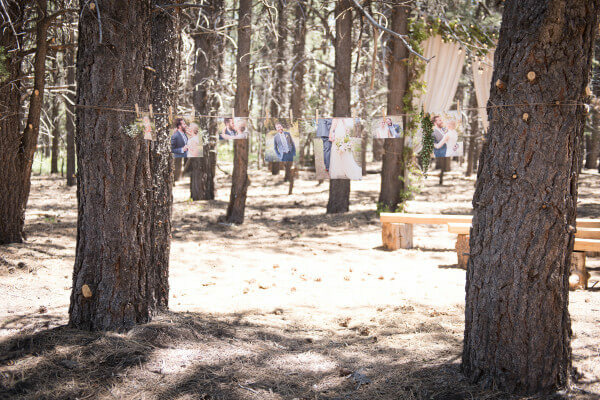 My sister had told me she wanted to do her wedding outside in the forest. My husband and his family own quite a bit of property right outside Bryce Canyon National Park. She mentioned that she night want to do it on our property if that was possible. Anythings possible, right? We started planning and brainstorming. I was really excited. Since she lived 4 hours away, I was to be the go between and make sure things were working out and I helped in practically every part of the planning. 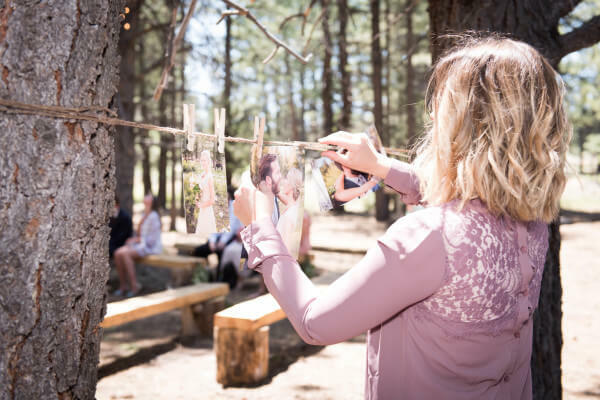 My sisters main goal for this wedding was to do it on a pretty tight budget, which meant we would be doing a lot, and I mean a lot ourselves. That has never scared me. I knew we could do it. We set out one Saturday morning to find the perfect location. After spending about an hour traveling up and down dirt roads we found the perfect spot. Everything else started falling into place. 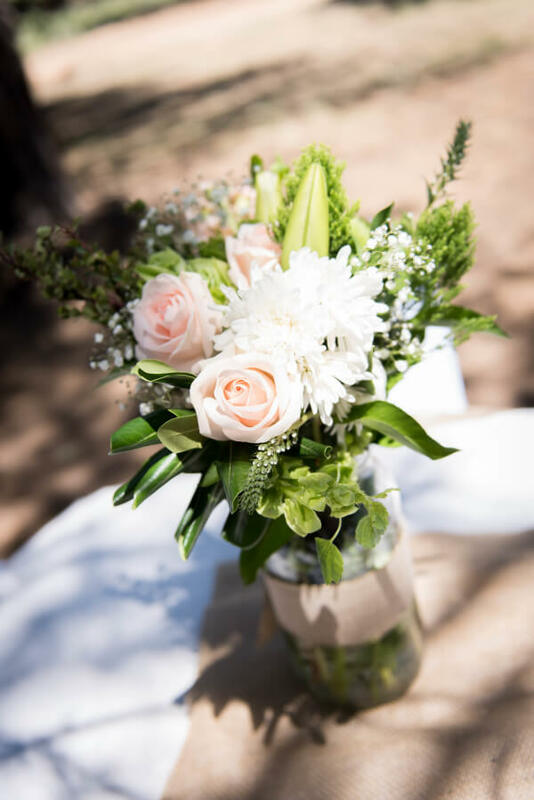 We planned and prepared everything for the wedding, including the furniture setup, all decorations, flower arrangements, food setup, and lights. 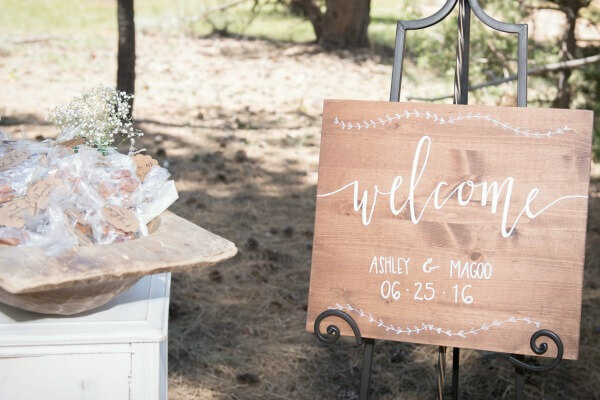 If we needed it to create this woodland themed wedding, my sister and I did it. 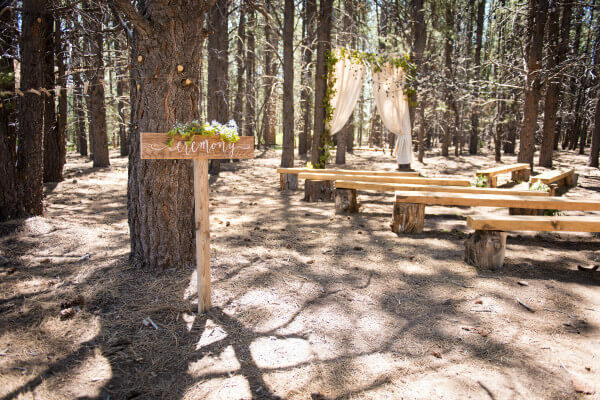 We spent hours sanding and planing old beams from a junk pile and turned them into benches for the ceremony area. 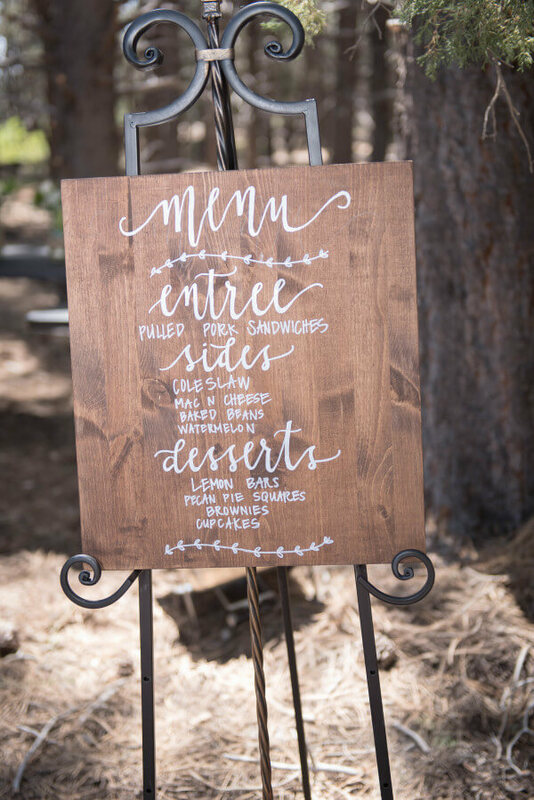 We created many areas specifically for the wedding and made pretty signs to designate each space. 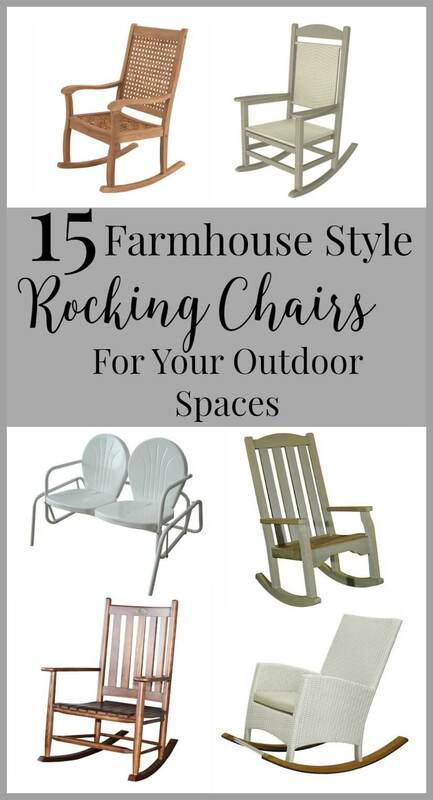 Can you believe we used scrap pieces of plywood to create these beauties? We made the backdrop with long dropcloths. 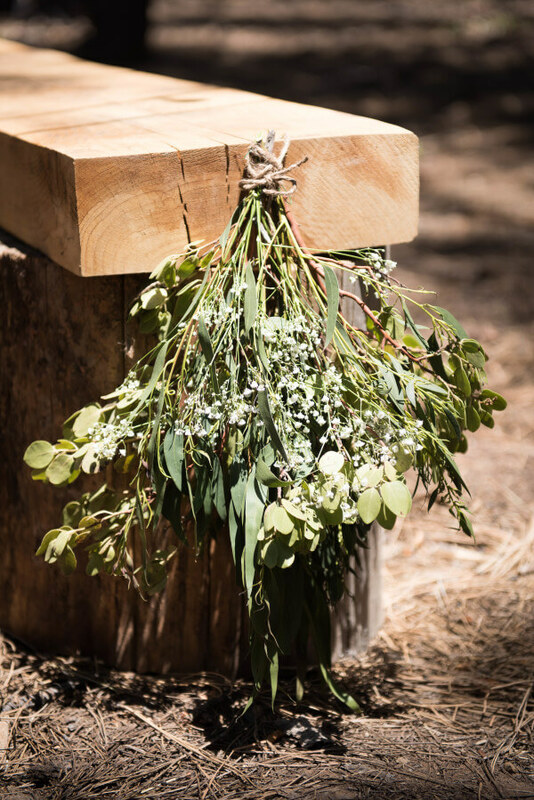 I created a swag along the whole 10 foot wide backdrop with some Manzanita bush that grows locally in the area. 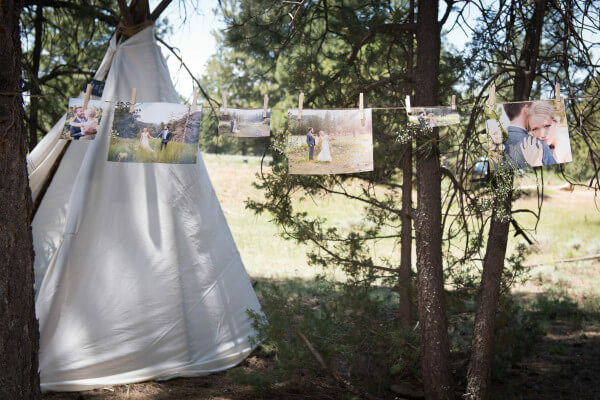 We hung clotheslines lined with pictures and you could enjoy them as you made your way to the ceremony site. Here is some proof that I actually really did do this! My sister chose to keep the color scheme in the blush and neutral tones. 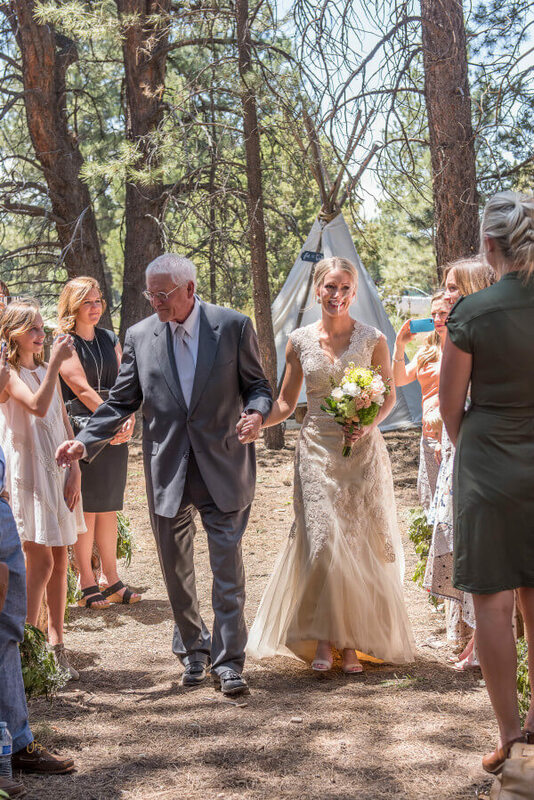 Here she is heading down the aisle with our dad. We tied their rings to a slice of wood with a hole drilled in the middle. We wanted to keep with the theme. 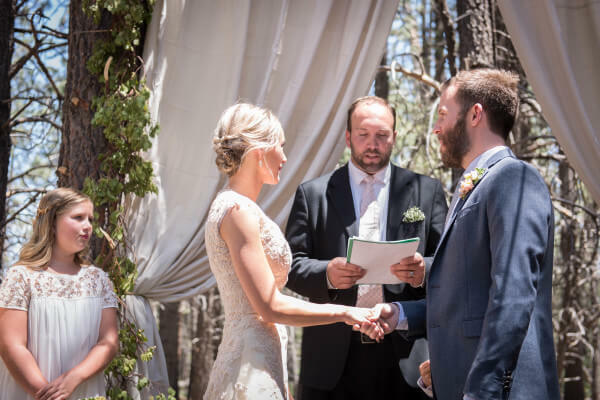 Here they are during the ceremony, which, I guess I should tell you, my husband was the officiant. That’s right, he married them! 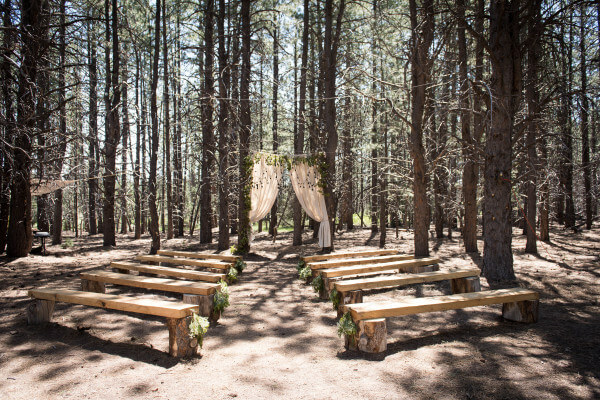 The ceremony setting was perfect, with tons of friends and family there to witness the celebration. Now, on to the rest of the wedding! 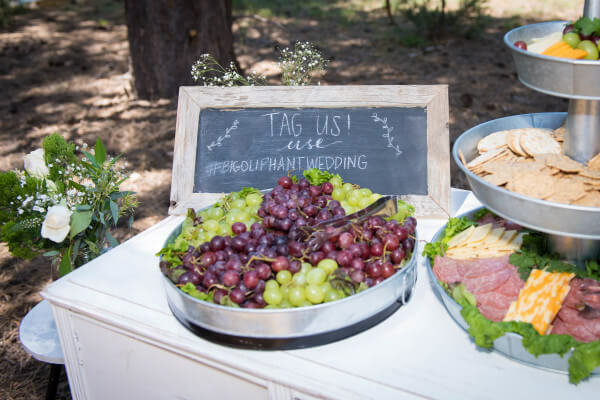 Prior to the ceremony, we had hors d’oeuvre for the guest as they entered the wedding space. 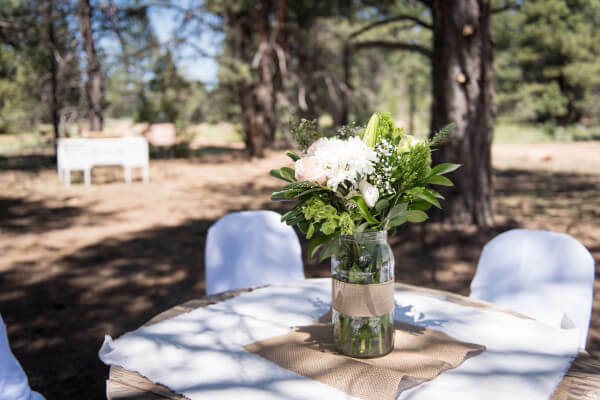 We wanted the guest to be able to spend some time enjoying the area while waiting for the ceremony to start. 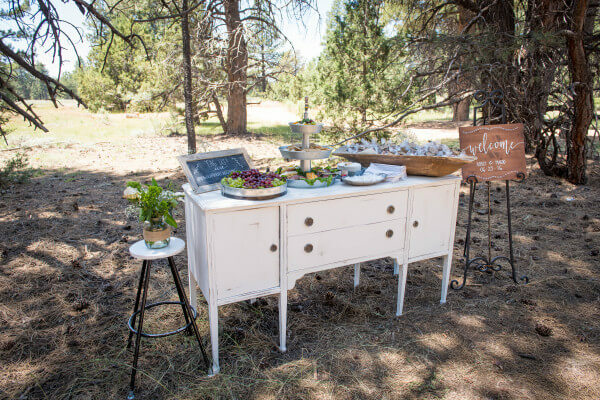 We used my white buffet as the focal point of this space. 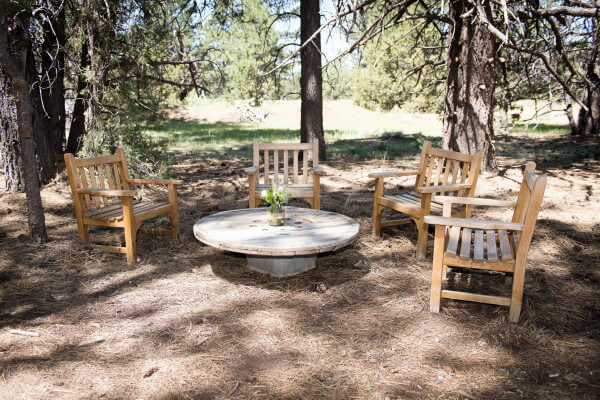 We also set up come casual teak seating, nestled back into the trees where people could lounge a bit. 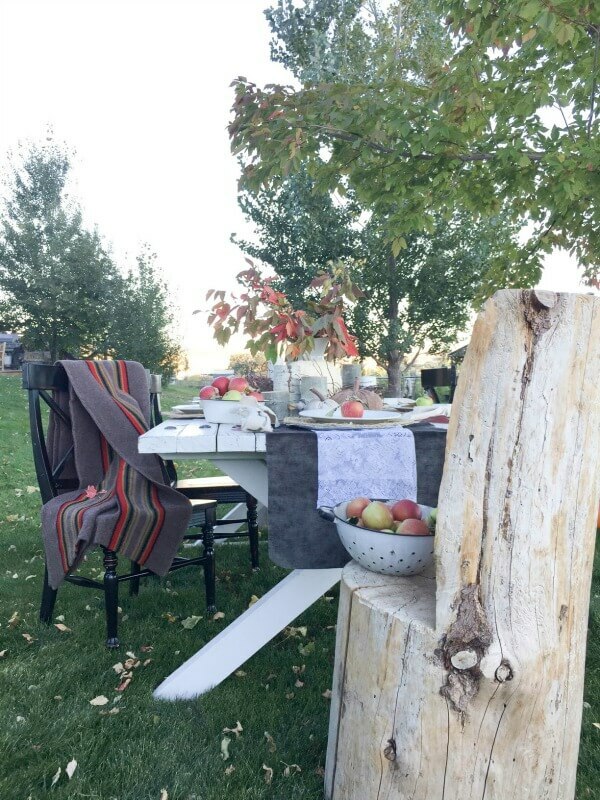 You may recognize this arrangement from my outdoor home tour. 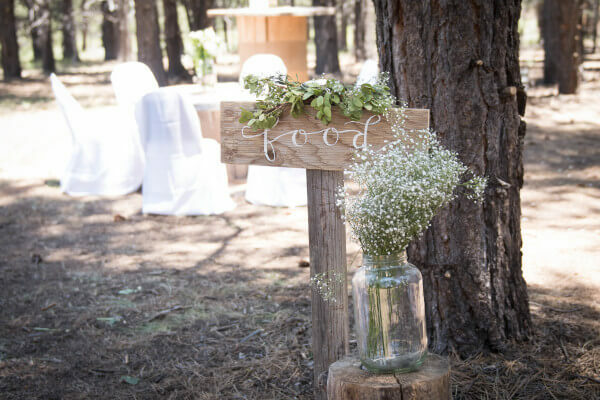 For the dining area, we set up old wire spools as tables and tucked them in shady little corners of the forest. We used white slipcovers for the chairs to keep the soft, classic look my sister was going for. 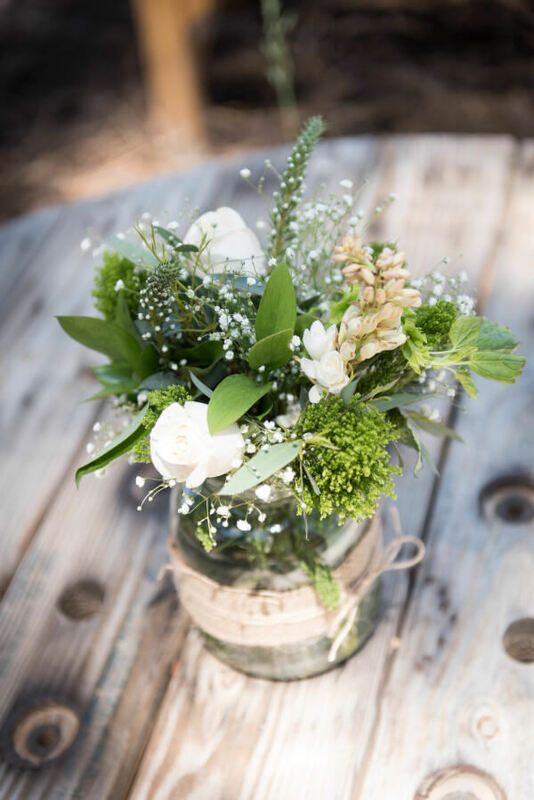 We laid a simple drop cloth and burlap runner along with a large pickle jar full of blush tone, white, and green flowers and greenery. 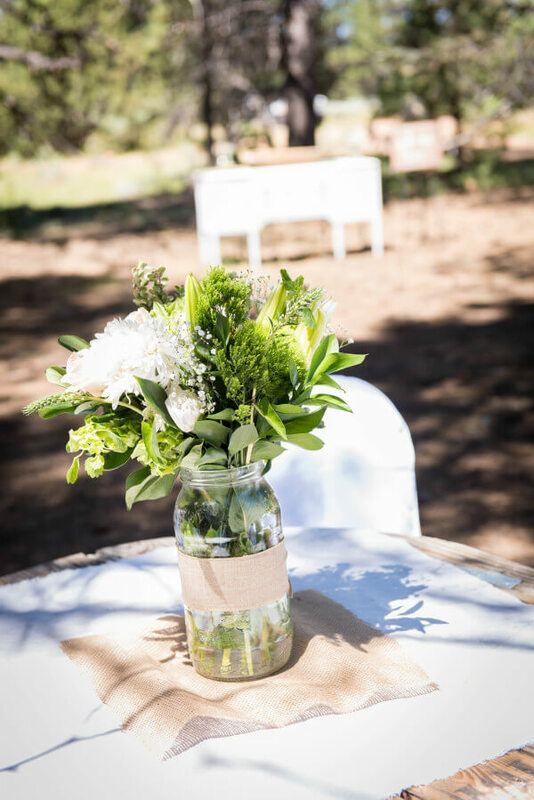 I spent a few hours in the early morning the day of the ceremony arranging all the flowers. I love the contrast of the delicate flowers with the rustic touch of the old weathered wood. As you can see from the menu, it was a relaxed atmosphere. Pulled pork sandwiches, mac n cheese, and baked beans. Don’t let that mislead you. 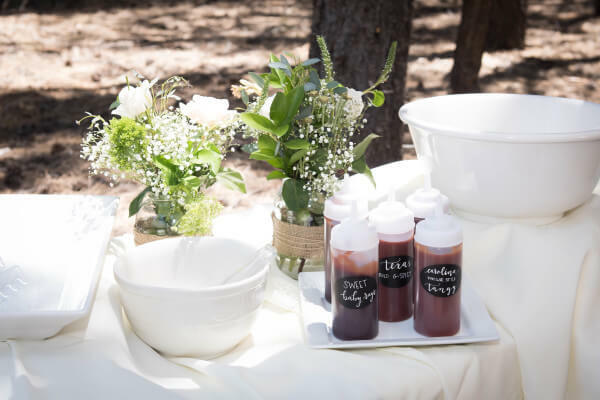 There was attention given to every detail, including the simple but adorable barbecue sauce containers. 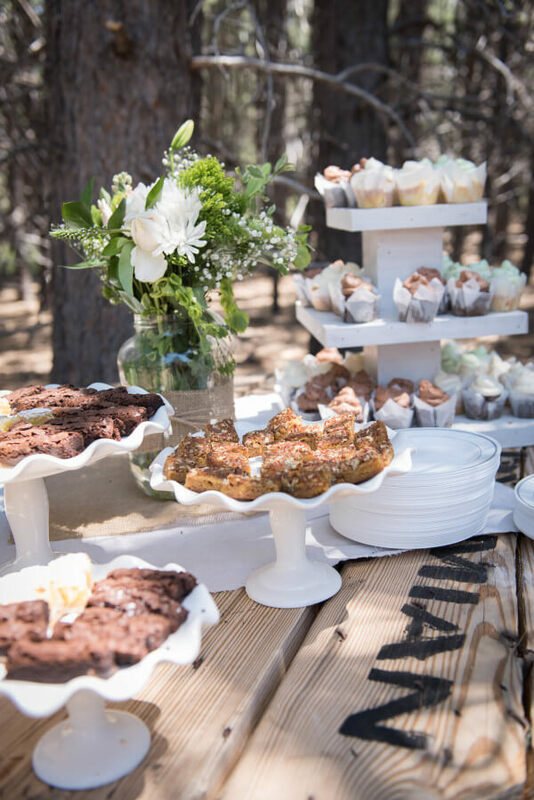 We used all white serving ware, as well as my sister and I’s antique dough bowls. 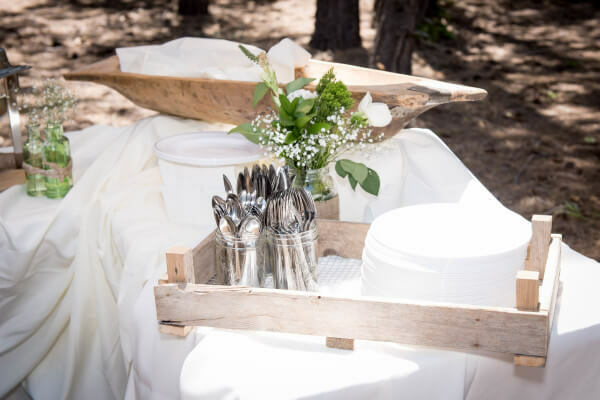 Once again, that rustic wood is such a compliment to the clean, soft white dishes. We had an amazing crew that came and prepared, cooked, and served the food. Many of our sweet aunts, a few uncles, and a few cousins helped my mom, who did the majority of it. We also used my dutch tulip crate to display the silverware and plates. It was the perfect addition. 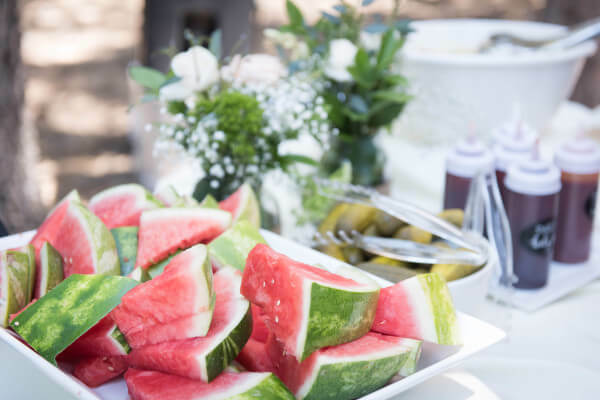 Who doesn’t love watermelon and pickles? 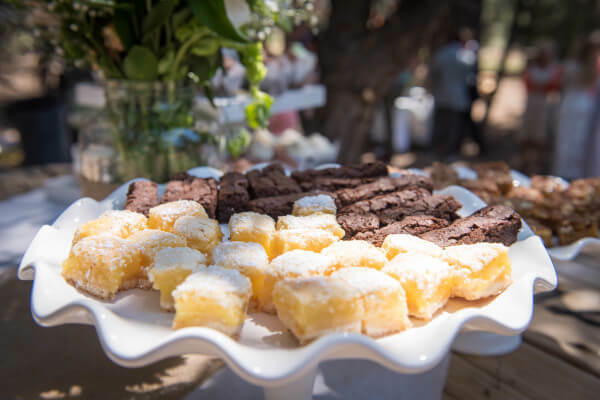 The desert bar consisted of lemon bars, pecan pie squares, brownies, and handmade cupcakes made by yours truly. My sister wanted something simple…and I really had to talk her into a cake at all! 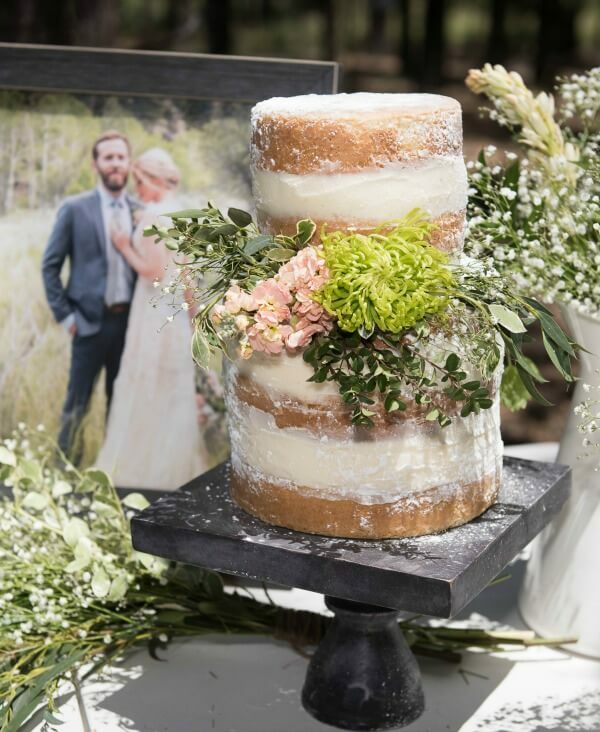 We fell in love with the “deconstructed” style wedding cake. I put this beast together the morning of the wedding and added the flowers on site. 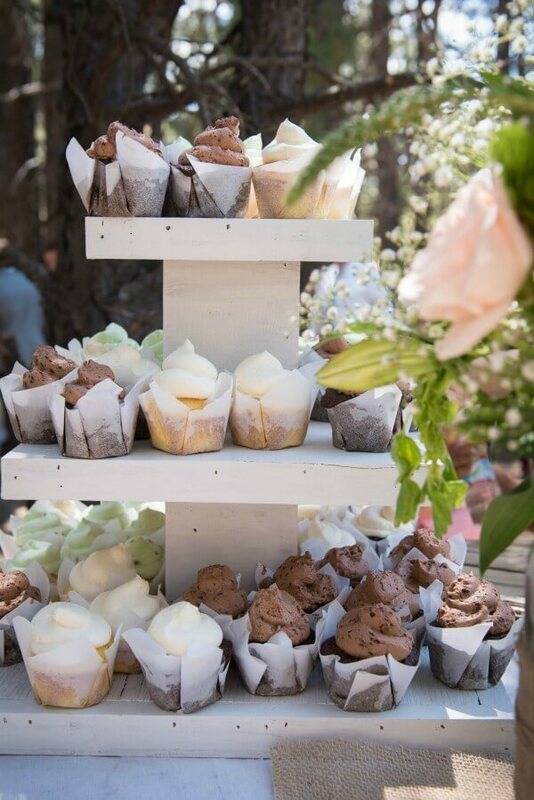 They were the perfect touch for this woodland themed outdoor wedding. We found this cake stand while we were out one night at Marshall’s. It was in the clearance area. My sister wanted places for people to be able to have fun, let loose and especially have a place that kids could congregate. 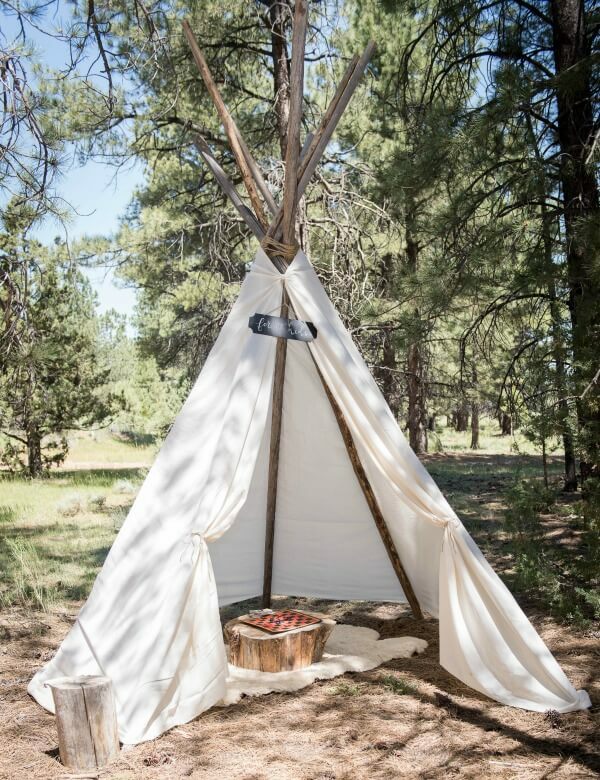 So there was a teepee. There was also a dancing area. And in the end, there was a thank you. 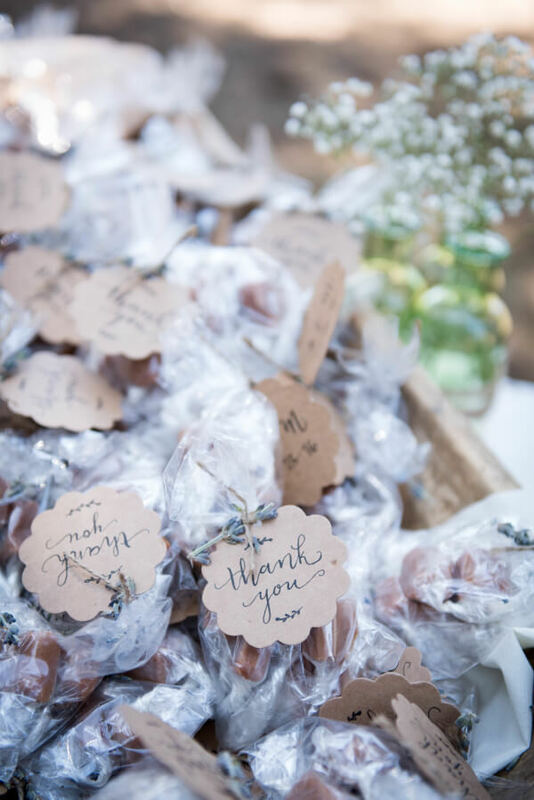 My sister spent hours making individual bags of honey carmel with hand written messages. 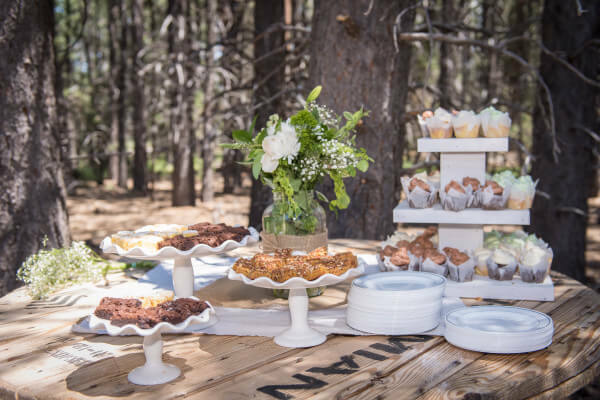 I think it is safe to say that this woodland themed outdoor wedding was a huge success. I will also say it was a lot of work. So much work. But it was one I would gladly do again. 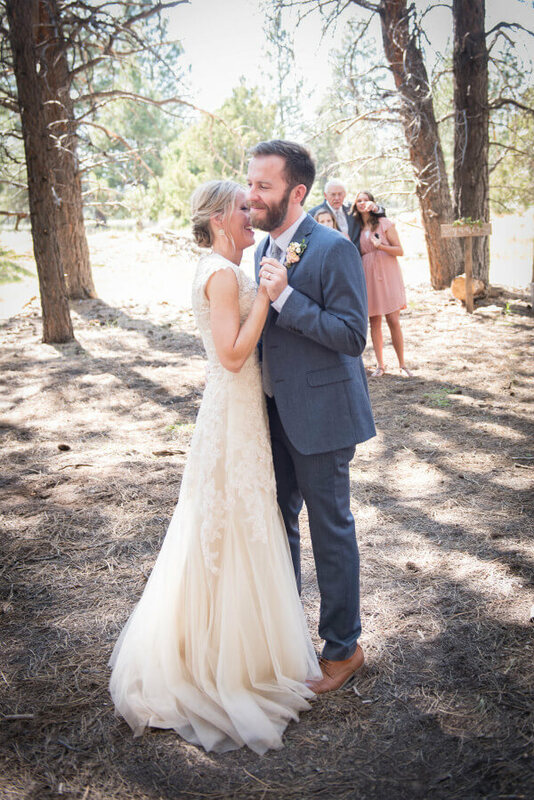 I live and breathe for this stuff and to be able to work along my sister, and spend many, many hours creating the vision that we both had in our minds was the icing on the wedding cake. I hope you’ve enjoyed this little tour. 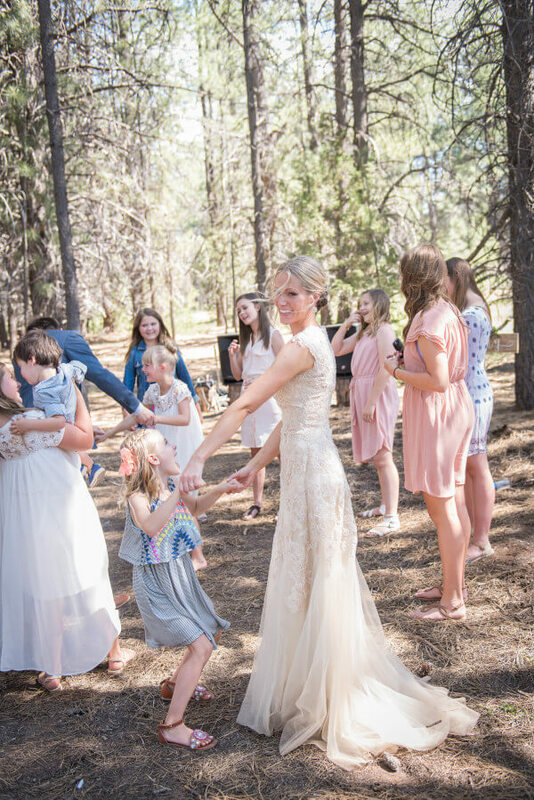 This was an amazing thing to be apart of, not only because it was so fun to work on, but because it was for my sister, and in the end, she gained a pretty amazing man who will treat her the way she always should have, and we gained a great brother in law, who I can tease and harass as much as I’d like. This wedding scene is so beautiful. I don’t think I have heard of a forest theme before, but why not? I looked at every detail and I can not choose my favorite. I am intrigued by the cake. I hope you sister’s marriage is blessed with the love, creativity and attention to that her wedding promised. You did a great job. 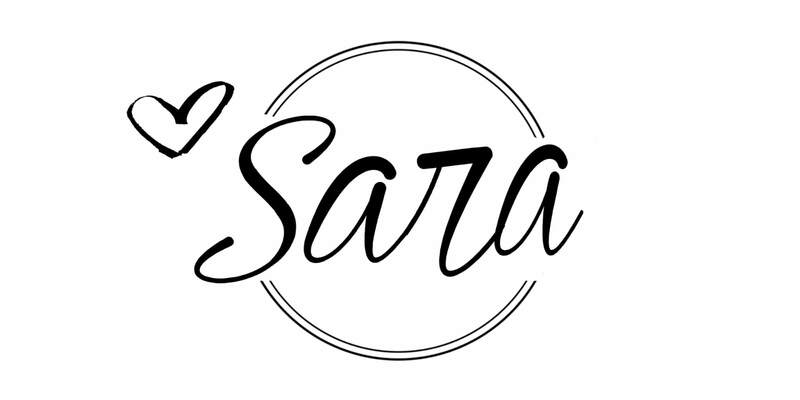 Wow Sara!!! How beautiful!!! Your sister was absolutely stunning, I love her dress and hair, and she looks so so happy. 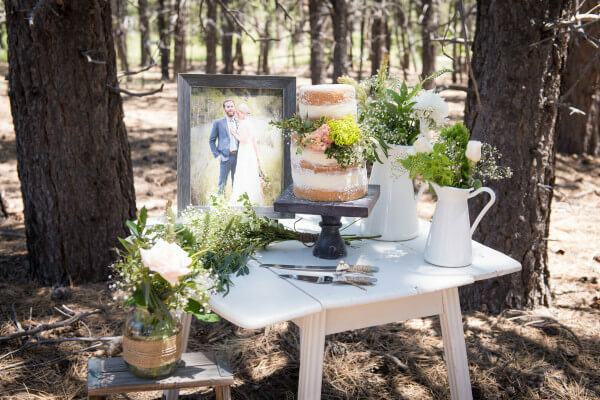 All the details of this wedding are perfection, it’s like something out of a magazine. Thank you for sharing, it was so fun to see. Wishing your sister and her groom a very happy life together! Thank you Lisa! I truly appreciate the kind words! Gorgeous and your sister was beautiful. I loved it all it was like a fairy tale. Your such a great sister to help her make her visions become a reality. Thanks Donna! It was so much fun to do! 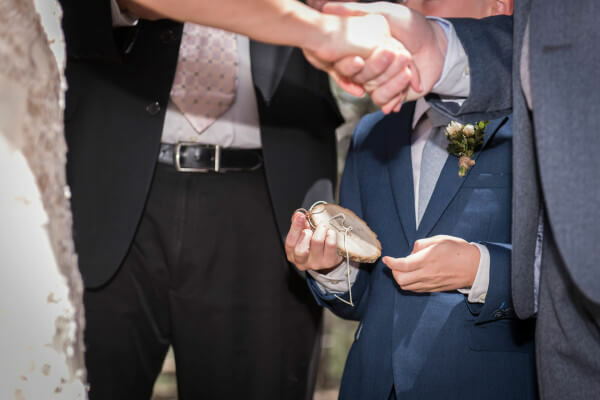 Who says you have to have a lot of money to have a beautiful wedding? It was stunning and such a relaxing feel to it. I loved everything you and your sister did. Thank you Barbara! You really can make it beautiful without spending tons of money! This was amazing ya’ll did a beautiful job. Enjoy spending time with your sister, I loved mine dearly, she has passed now, I miss her so much. God Bless you and all of your family. I loved every detail. Thanks for sharing. Thanks Sarah! We share a similar grief. We lost our sister about 9 years ago. We are very grateful to share these experiences together, but we miss our sister dearly as well. It was the most amazing wedding. Ashley is so lucky to have you. I was honored to be invited. Thanks Ashley! It was so good to meet you! 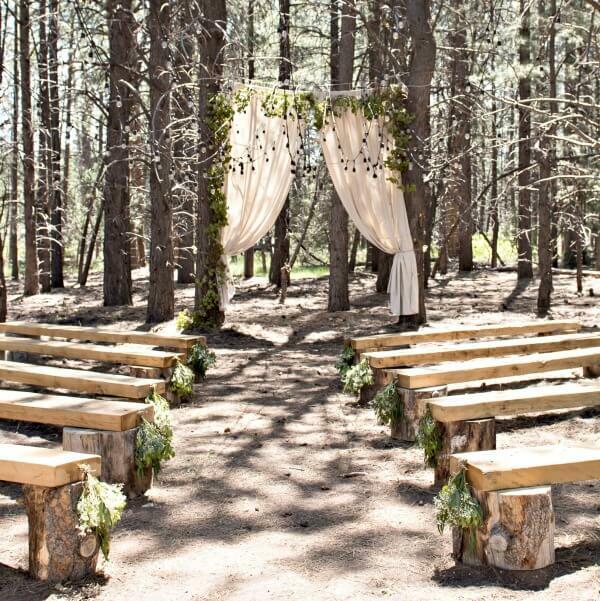 This wedding is absolutely beautiful! I am so in awe of the decor. It’s perfect! Thanks Lela, it was a lot of work but so worth it! That last line made me cry a little. Such a special day. You’re the best sister. Awe, thanks Lindsey! It was so good to see you! I LOVE this theme! I really like how it allows for a natural, earthy color scheme. Everything looks incredible, from the entryway to the food. Just beautiful! Congratulations to your sister and her husband! 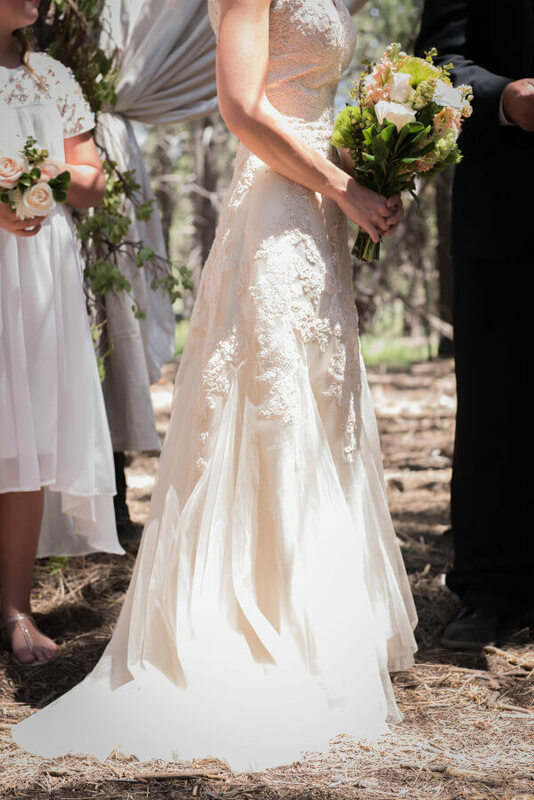 What a gorgeous wedding, and the bride is just beautiful! This is gorgeous! Such attention to detail! 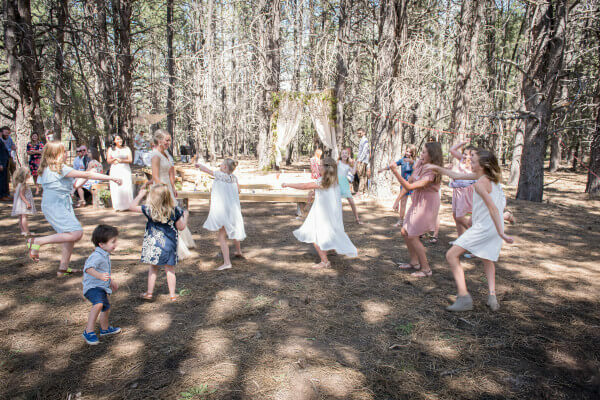 I would love to create a backdrop out of drop cloths as you did for my daughter’s wedding. How did you secure it to the trees? 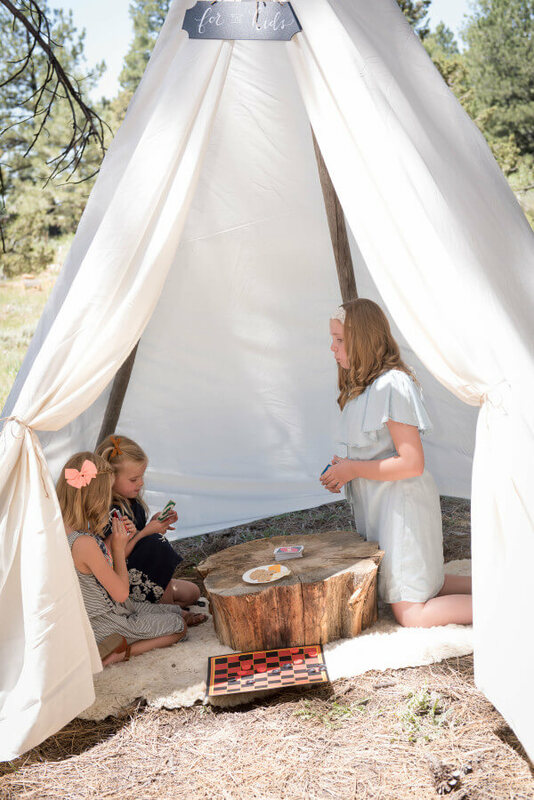 SO what we did was sew a pocket at the top of the panels, like a curtain, and then ran rope through the pockets and tied the rope around the trees, like a curtain rod of sorts. Hope that makes sense. WOW! 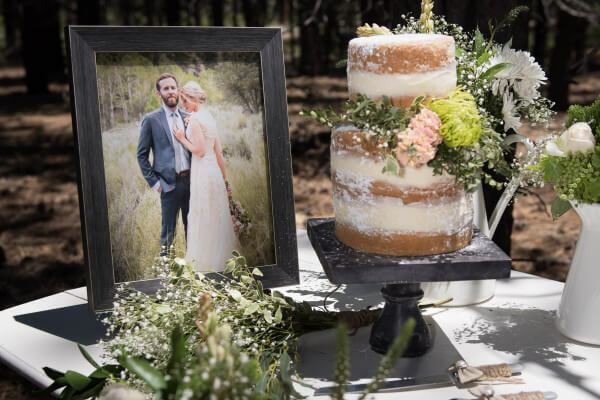 There is so much DIY in this wedding, and it looks absolutely amazing. Thank you for sharing all of this!